Prof. Watson teaches Introduction to Visual Communication at John Cabot University and he has published his latest book, Towards a Conceptual Militancy. "The Centre Being Rome," an exhibition curated by JCU Professor Mike Watson, will run from April 7-12, 2016, in Una Vetrina gallery at Via del Consolato, 12 in Rome. 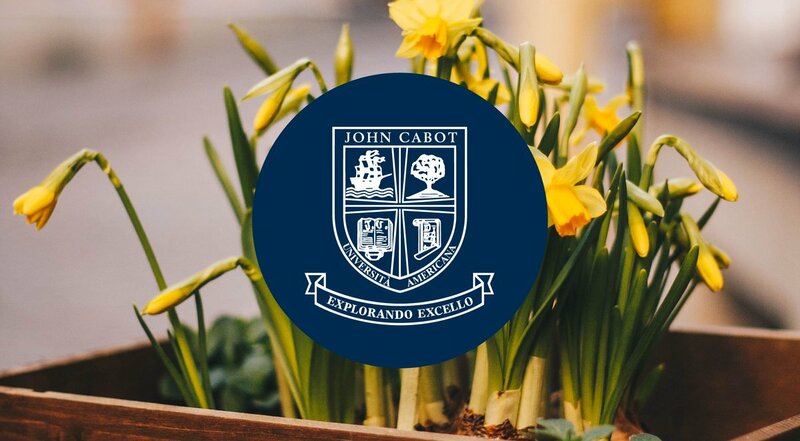 John Cabot University will observe special hours during the Easter holiday period, which coincides with JCU's Spring Break. Leonardo, who is a policy adviser at the European Commission, was recently featured in the inaugural edition of Forbes magazine's "30 Under 30 Europe" list. Antonio Lopez is Assistant Professor of Communications and Media Studies at JCU. He has long been dedicated to building the bridge between media education and sustainable education. On Saturday, March 5, John Cabot University alumni and prospective students gathered in Miami at the Wolfsonian-FIU (Florida International University).